20 jul 2018 What if you could find out the impact of events on your destination? While travelling, people strive for authentic experiences and moments of personal transformation. The appeal of a destination is now, more than ever, a mix of traditional and intangible items – nature, art, history, local food, lifestyle – and personal interaction between travelers and locals. Traveler: someone who leaves for a destination with the precise desire and priority to be a part of an experience capable of generating personal transformation, growth, and an internal evolution. A 2018 Skift Report has confirmed that 7 out of 10 respondents value the opportunity to travel, not only to visit an unknown location, but also to enrich themselves. Among these opportunities of personal enrichment and transformation are local events. These events have the opportunity to attract new visitors and stimulate cultural consumption. More destinations are increasingly trying to understand the potential of events and the formula for their success. Proper strategic planning is crucial to determine positive feedback from travelers. However, it is impossible to design the perfect event without acquiring key information. Managing data from past events is essential to accurately and comprehensively understand visitor expectations, manage flows and coordinate different businesses to provide the best response to tourists. In an era where “travel” is replaced with “experience travel”, the total satisfaction of visitors during an event can create an authentic destination and brand identity. 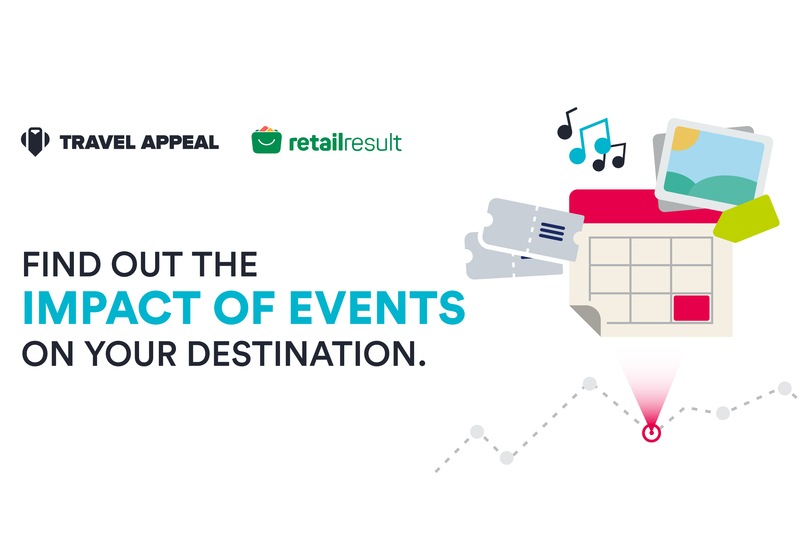 The impact of events on your destination. Every single event has an important impact on the host destination. Anything from the flow of incoming travelers to event pricing affects the general reputation of a destination. Accurately and precisely monitoring the effects of each event on the territory can yield valuable data. This allows for long-term strategic decisions, which have considerable political and economic influence. Imagine knowing which event attracts more visitors or having the insight into which event draws specific traveler types. Imagine being able to precisely understand how each aspect of the event is perceived and which service needs to be improved. Imagine recognizing how an event impacts the average prices of your destination. Concerts, festival, conferences, sporting events and much more! Every event category can be analyzed by our algorithm. Through our Destinations dashboard, you will have a clear overview of the impact of specific events.By selecting the most influential events of your territory, we match them with several types of historical information, reviews, conversations, seasonality, prices and other data regarding your destination which we develop into actionable insights. 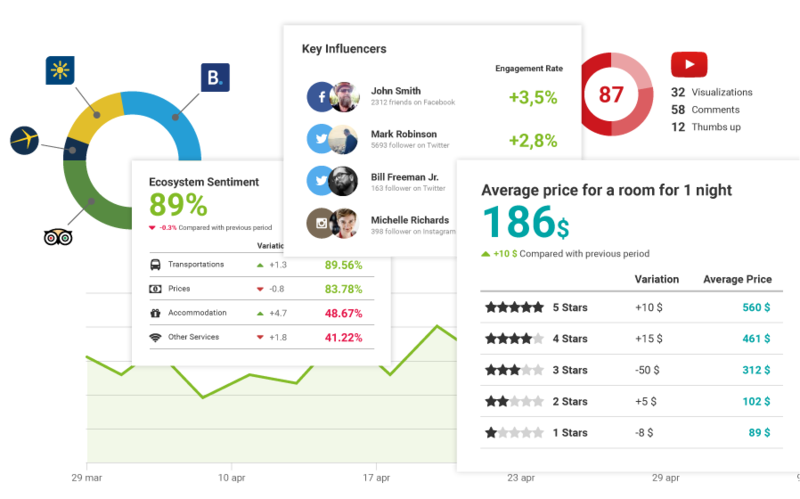 Flows: find out the event influence on guest arrivals or the most attractive visitor for your target. Reputation: the number of positive and negative reviews about an event’s reputation and the related satisfaction (sentiment) percentage in addition to individual reviews in detail and the most discussed topics by your visitors. Prices: find out the economic variations generated by the event and how this affects the individual businesses of your destination and which activity has the strongest influence. With the Destinations dashboard, you can take action to bring both events and the host territory to the next level. Why you can trust our analysis. At the heart of Destinations is an algorithm that collects, evaluates and calculates, in real time, thousands of pieces of information in an accurate and comprehensive way. The more our algorithms run and process data, the better and more dependable they become – this is the nature of “machine learning”. Travel Appeal continuously updates its data sources and feeds the machine with more and more data sets to enhance and refine the outcomes. Travel Appeal is an Italian B2B travel startup, that collects and analyzes real-time travel industry data. Travel Appeal uses a sophisticated Artificial Intelligence system, which transforms raw data into actionable recommendations and insights, targeted for industry operators to boost their performance, enhance their reputation, and optimize communication. This results in improved operations and results. Retail Result is a Dutch sales-driven company founded in 1996 with extensive experience in both the retail and travel industries. 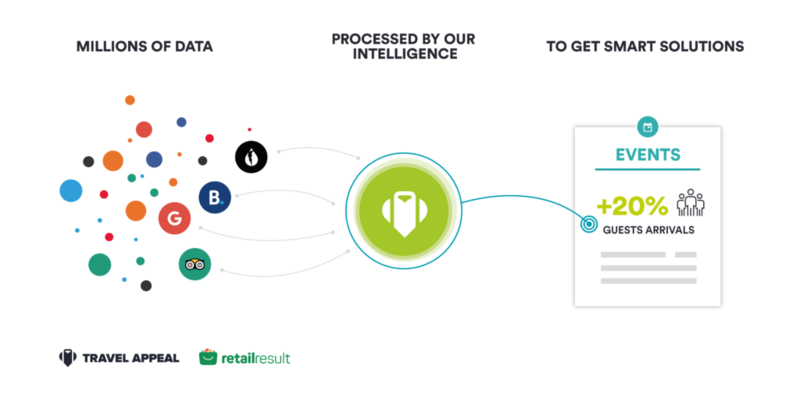 Retail Result combines and integrates the best professionals and technologies for the transfer of knowledge, skills, tools and expertise in the field of marketing and sales. Retail Result aims to be the leading partner for retail organizations, independent entrepreneurs, cities and regions (city marketing) in the Netherlands and abroad.